Burt's Bee! This is my favourite brand for lip balms! Ever since it saved me from dried and chapped lips, I've been using it till now. Lip products are the best selling items for Burt's Bees, followed by other personal skin care products. We often use lipsticks for intense colors on the lips and sometimes, the lips appear to be drier after using certain lipsticks. I love lipsticks too, but my lips condition tells me I will need hydrating lipsticks. I started off by trying one of the lip ranges in Burt's Bees: Lip Shimmer. Lip Shimmer is a lip balm with luminescent color that gives a hint of shines on the lips. It nourishes and moisturises the lips with Vitamin C and Beeswax, keeping the lips soft with Shea Butter and Sunflower Oils. Besides, Lip Shimmer has Peppermint flavour too! 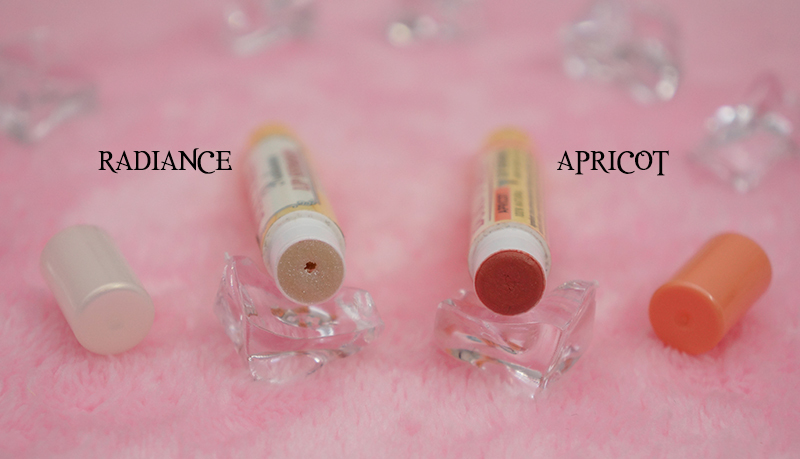 For today's post, I'm reviewing the Lip Shimmer Apricot and Radiance. The packaging is pretty common, a lip balm twist tube. The shades differentiate by the covers. 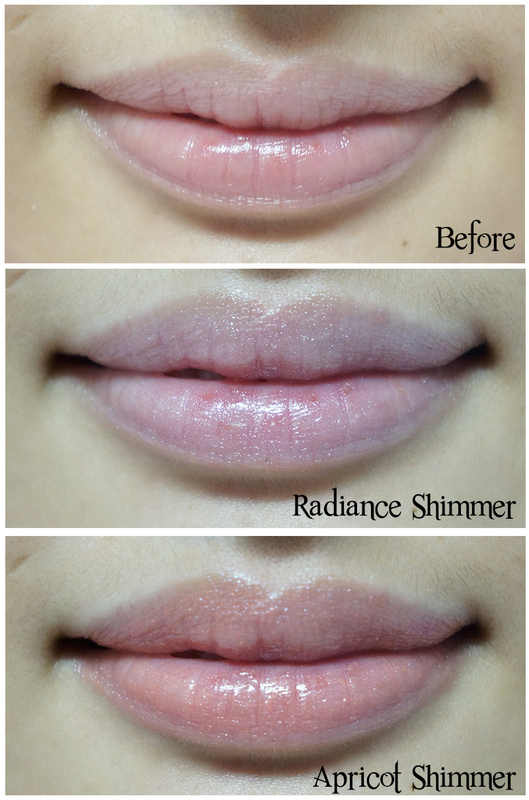 Lip Shimmer Radiance, a non-colored lip shimmer that can pair well with any occasion. 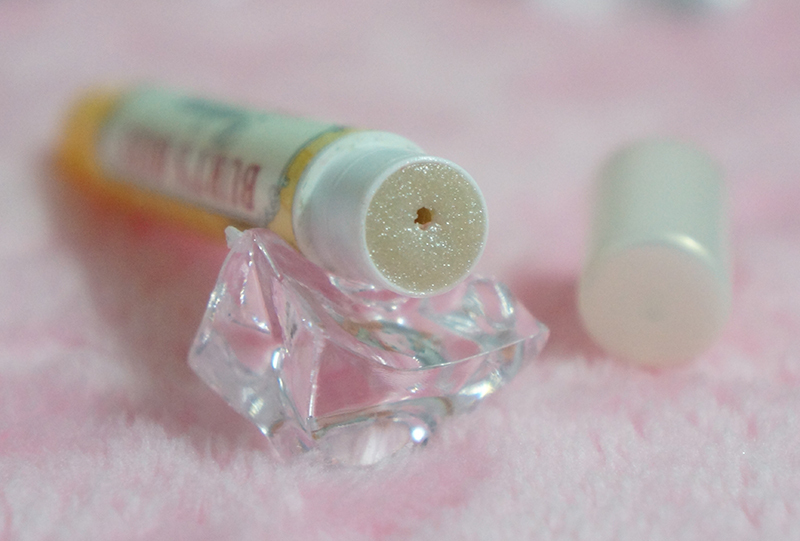 Even if your lipstick has no shimmers, just dap on the lips with this lip shimmer and enjoy the sparkling lips! Nothing special about this, but it will be cool to add on shimmers to any lipstick you are wearing. 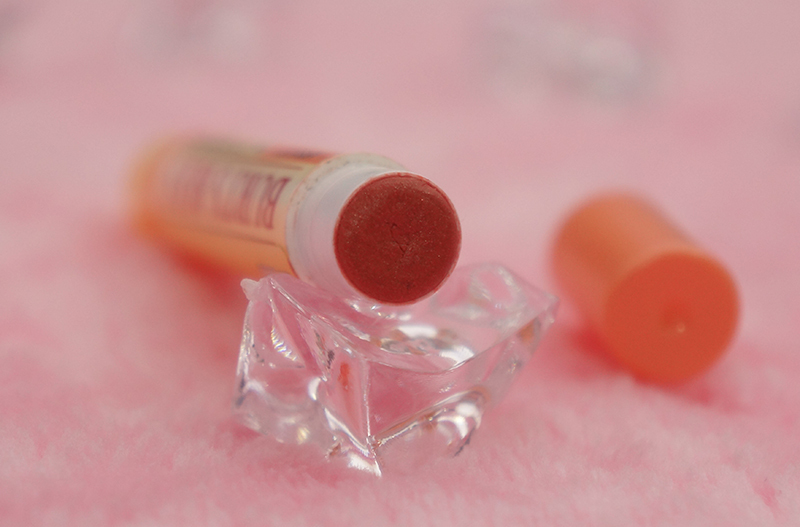 Lip Shimmer Apricot, gives a hint of orange shade on the lips with shimmers. The color looks intense from the stick but in fact, it comes out lighter than I thought. 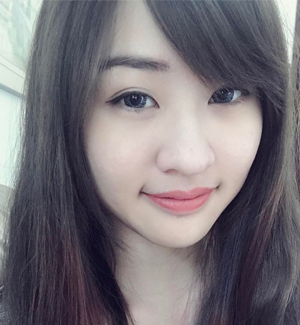 You can refer to the image below for the swipe. Here's the swipe for the Apricot and Radiance lip shimmers. 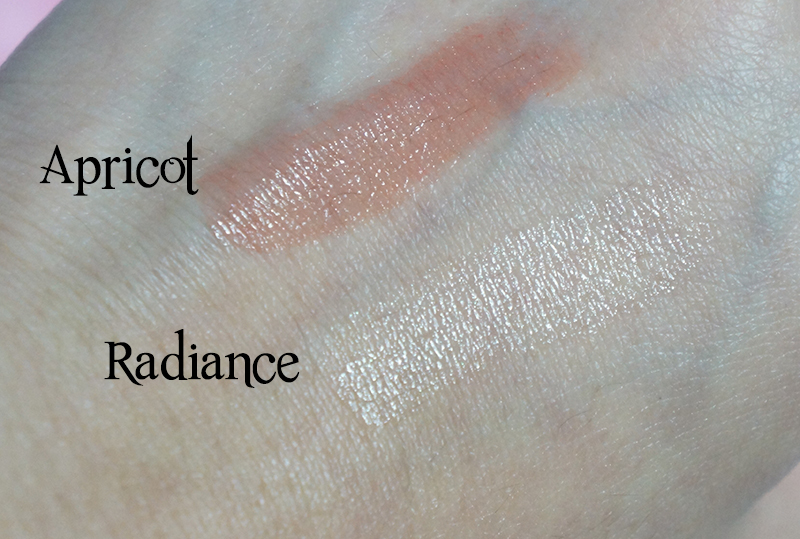 Radiance turns out to have more shimmers compared to Apricot and to be honest, I love the shimmers from Radiance. Apricot appears to be lighter than I thought and it reminds me of tinted lip balms. Tada! 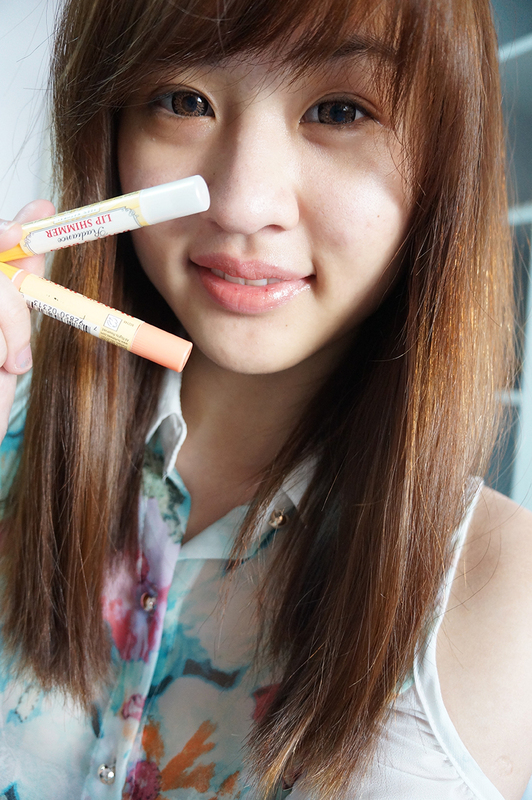 Here is how the Radiance Shimmer and Apricot Shimmer looks like on my lips. The Radiance Shimmer gives a hint of shines on the lips while the Apricot Shimmer enhances the lips with a orange shade. I love the shimmers! They are gorgeous and not fancy at all. I can wear this to any occasion I want and it's pretty easy to apply too. However, the only drawback is the intensity of the color shade. If you are looking for lipsticks with distinct color shade, you might want to skip this because you will be disappointed with it. However, the darker shades for Lip Shimmers are doing quite well and pretty decent too. I would recommend you to get darker shades such as Lip Shimmer Watermelon and Lip Shimmer Raisin.